Trump’s lawyer disputes key details of former FBI Director’s congressional testimony. President Donald Trump’s private lawyer on Thursday disputed key details of former FBI Director James Comey’s congressional testimony, accusing him of improperly leaking “privileged communications” with the president. 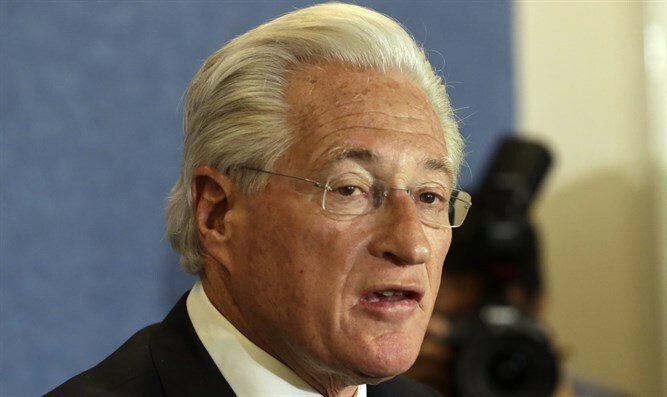 The attorney, Marc Kasowitz, said Comey “admitted” to sharing the contents of memos recounting his private interactions with Trump with a friend, who then leaked them to the press. “Today, Mr. Comey admitted that he unilaterally and surreptitiously made unauthorized disclosures to the press of privileged communications with the president,” Kasowitz said, according to The Hill, suggesting Comey may have committed an offense. He also said there are people in the government committed to undermining Trump “with selective and illegal leaks of classified information” and communications, a nod to the administration’s argument that it is in constant battle with a “deep state” of government employees. “We will leave it to the appropriate authorities to determine whether these leaks should be investigated along with all those others being investigated,” the attorney was quoted as having said. Comey, in testimony to the Senate Intelligence Committee earlier Thursday, said that after he was fired by Trump, he leaked notes of his conversations with the president to the media through a friend in the hopes it would lead to the appointment of a special prosecutor. Comey said his decision was prompted by Trump’s suggestion, made on Twitter three days after his firing, that he may have secret recordings of their conversations — something the White House has neither confirmed nor denied. Kasowitz, despite the criticism of Comey, rejected the notion that Comey’s testimony could lead to trouble for Trump. The lawyer said Comey “finally confirmed” that Trump was personally not under investigation by the FBI in its Russia probe, adding that the president “never sought to impede” the inquiry.